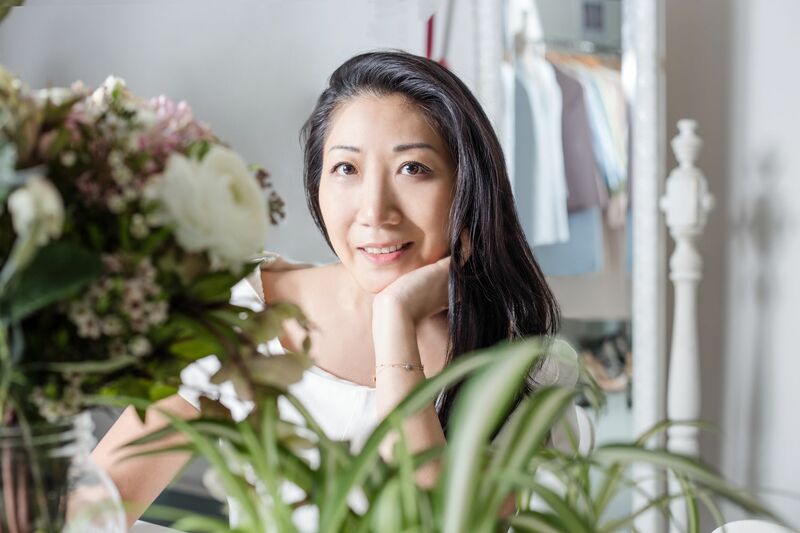 Through her company, HULA, Sarah Fung is changing the way women look at pre-loved fashion and proving that buying less really can mean having more. She shares with us her favourite self-care rituals and the importance of taking time out. I am the founder of HULA, an online platform for pre-owned designer women’s clothing, shoes, bags and accessories. We offer almost 400 brands, at up to 95% off retail, collected mostly from mostly industry insiders such as women who work in fashion and their contacts. Along with this, we also donate a percentage of our net profits to charity. Beautiful things and giving them a second life, so much so that I based my business around it. Surrounding this topic means I am also passionate about re-educating people in Asia about buying pre-owned; the benefits it has on our planet and the impact on the people who produce the product is huge. The issues are so complex that it cannot be resolved overnight, but every little bit counts right now including just switching your habits to buying pre-owned more regularly. Tina Fey, Graham Norton and Ricky Gervais as they are so funny and smart. Oh, and who doesn’t like a cute animal clip? I look up to flawless women that make running a business whilst bringing up a family look so effortless. My loved ones, belly-laughs (with tears), energetic cities and good food. I especially love Asian food, like dumplings and a really good Pho noodle soup. I guess I could eat and drink way less. I practise yoga and I am trying to learn how to meditate—however, the notion of getting rid of "all thoughts" is so challenging. I swear by regular face scrubs and regularly do my own mini facials. I also go to acupuncture, as I find it's the best type of alternative medicine, fixes anything doctors can’t diagnose and is so worthwhile. Curled up on the sofa binge-watching a good series with my husband, cooking a new dish or meeting friends for a Sunday brunch. It is so important for your own sanity and to get clarity (which is so rare and precious for me these days as my personal time is so limited). I have promised myself this year that I would mentally escape more often, even if it is only meditating on a mat. Listening (& singing loudly along) to some of my favourite female singers like Kali Uchis, Amy Winehouse and Solange, dancing all night to let my hair down and cooking. It means finally growing up. As I get older this term is more and more important as I appreciate the simpler things in life—especially things that money can’t buy. Even though I am ambitious, I actually live very minimally and never want for much to make me truly happy, which I am really grateful for. In terms of possessions like clothing, I don’t have a huge wardrobe and always like to wear my favourite items to death (or resell them). It takes a good eye, experience and understanding your body type to be able to buy only quality pieces that you will wear well versus quantity. However, a business like HULA can help kick-start that discovery. FANCL's Washing Powder produces a rich foam that thoroughly washes away oil and keratotic plugs, while retaining your skin's natural moisture, leaving it clean and supple to enhance the absorption of skincare essences. Sarah recycles excess fashion items to maximise their value in beauty. With a similar belief, FANCL's products allow only powerful beauty agents to actively enhance the skin's beauty by eliminating preservatives in their products. The MCO Mild Cleansing Oil should help Sarah to remove makeup thoroughly after a hard day's work, and protect her skin from harm caused by makeup residue.